Is It Time to Sell My (Dead-Tree Format) Books? I realized something in the last few days. As I've acquired digital copies of books in software like Accordance, WORDsearch, and Logos, I rarely pick up hard copy equivalents anymore if I have them on the shelf. 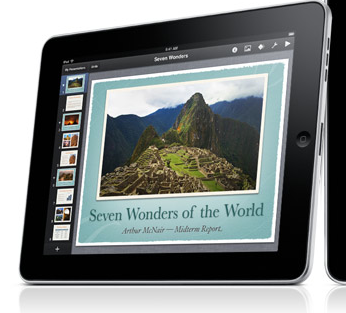 As these programs transition to devices such as the iPad, their functionality as replacement engines for physical books increases. Even a product like Olive Tree's Bible Reader—the clear superior product of its type on the iPhone—stands to take on whole new significance on the iPad. Kathy and I have an entire room in our house that holds a personal library of somewhere over 2500 volumes. But I've got at least that many books on the MacBook Pro from which I'm writing this right now. Probably more. And my MacBook Pro weighs a lot less and takes up much less space! My neglect of the physical wasn't always this way. I used to use Accordance to find an article in the Anchor Bible Dictionary and then I'd oven pull the book off the shelf to read it—especially if it was a longer article. But I just don't do that anymore. It's simply more convenient to read it in Accordance. And as I look around, I've got a lot of significant duplication: the already mentioned six volume Anchor (Yale) Bible Dictionary, the 10 volume Theological Dictionary of the New Testament, Colin Brown's four volume New International Dictionary of New Testament Theology, Willem VanGemeren's five volume New International Dictionary of Old Testament Theology and Exegesis, 50 or so volumes of the Word Biblical Commentary as well as hundreds of other commentaries, the entire Encyclopedia Britannica, scores of individual references such as BDAG and HALOT, hundreds of theological journals (yes, I even have duplicates of these) and so much more. I don't know for certain, but I bet that I could eliminate at least a third of my physical library that duplicates electronic texts I have, allowing us perhaps to throw a pullout futon bed in there and create a guest room! Of course, having fought (and mostly lost) the battle with being a bit of a bibliophile, such parting is no easy task. I like my (physical) books! I like the look of a room with multiple floor-to-ceiling bookcases. I can fool guests into thinking I'm much smarter than I actually am. And although I increasingly find digital books more useful, I often still more easily "bond" with physical books. 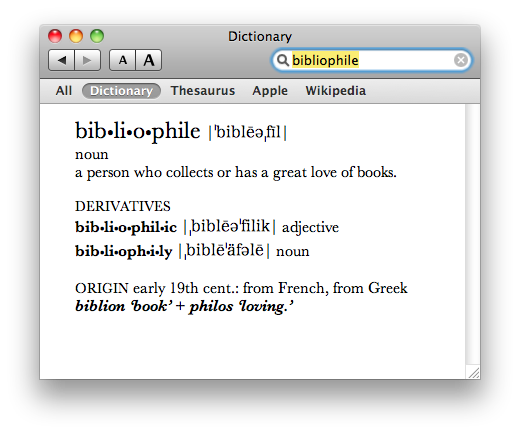 True bibliophiles will understand. But maybe this is just emotional sentimentality. The key factor in my decision rests in the fact that, as I've already mentioned, I've found I simply don't use the physical copies once I have electronic duplicates. And to hold on to things I don't use or need makes me a hoarder and a glutton of things. There's always the risk that in 20 years, I might not be able to access my books if they are in an abandoned digital format. 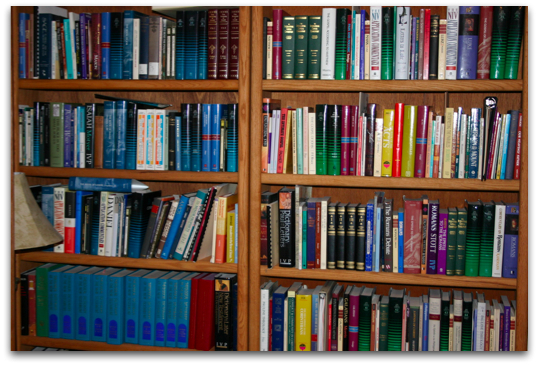 Physical books generally outlive the original owner. But I'm going to bet against such pessimism. There's comfort in numbers, and the fact that vast numbers of the population are moving to digital books makes me feel somewhat safe that they'll still be around in the future. In the meantime, even selling the books at a significant discount, I think I can make a pretty decent amount of money on them. I imagine I'll probably list most of the books on Amazon, although I might sell a few combined sets like the NIDNTT & NIDOTTE on eBay. Because of shipping, Craig's List would be a good place for my entire Encyclopedia Britannica. Generally, encyclopedias don't have a great resale value, so I may have to see what kind of "best offer" I can get. Regardless, I'm not using them, and they take up a lot of space. What about you? Have you sold large quantities of physical books because you had them duplicated on your computer? How did you sell them? What worked best? Please leave your thoughts in the comments. The forthcoming iPad is being heralded by some as the savior of the press (newspapers and magazines alike). It's no secret that print media has been hit by hard times. Newspapers have lost revenue due to online services such as Craig's List and eBay. Both newspapers and magazines have been hurt by the Internet where information is instantaneous and usually free. By the time the local paper reaches your door early in the morning, most of the content has already been available online for hours. It can even be worse for magazines. I've subscribed off and on to news magazines such as Time over the years. Right now my subscription is lapsed while I wait for a "better" re-subscription offer to come in the mail (it always eventually does). But in the meantime, I've had no problem keeping up with articles in Time through their daily emails linking to current stories. It really begs the question of why I need a subscription in the first place. I've noticed that many newspapers have actually shrunk their page size while keeping prices the same, thus saving a bit of money. Meanwhile, magazines I subscribe to such as Macworld and Wired are downright anaemic in thickness compared to just a few years ago. So, yes, print media is having noticeable problems. 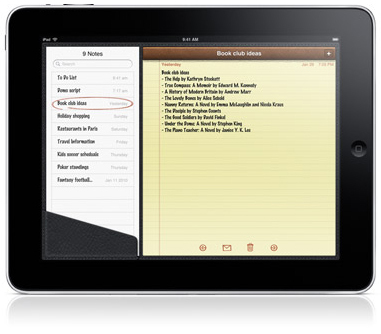 Thus enters the iPad, followed by a host of other electronic tablets and devices. Certainly the idea of a tablet computer is not new. Nor is the iPad the first to offer subscriptions to periodicals (the Kindle's been doing this with a number of titles since its inception). However, there's never been this much excitement about periodicals on an electronic device before. There've never been so many announcements from publishers of upcoming titles as their has been in the wake of the iPad announcement. Whether the iPad and similar devices can save print media remains to be seen, but if this happens, we may be living in a time of significant shifts in the way we acquire and consume periodicals. My wife and I subscribe to about half a dozen magazines at any given time as well as a few academic journals. While we still occasionally read newspapers, we usually get our copies second hand. In light of our own consumption of periodicals, I've been thinking about a few certain "givens" that ought to be in place for me to read periodicals on an iPad (if I had an iPad!). This is a must, right? I want publishers to be healthy and make profit. But at the same time, they stand to save money by reducing printing and delivery costs through electronic delivery. At least some of this savings should be passed on to readers. Plus, their's something psychological about the physical vs. the virtual. I have my doubts that publishers can as easily transition from physical pages to non-tangible electronic pages unless the electronic version is cheaper. 2. Like Print, Digital Copies Should Be Shared within a Household. Right now, when a magazine comes in the mail, my wife and I share it. Electronic magazines should be shared within a household, too. Maybe this could be achieved by allowing one other account to have to a digital copy of a periodical. Or maybe it could be shared within an internal network. When Entertainment Weekly comes in the mail, it's read cover to cover by my wife. I might read a little bit of it. But if I couldn't easily access it, I'd read little or none at all. This is a convenience issue, and one that ought to be considered by both publishers and especially advertisers. If the iPad and similar devices truly do catch on, it's easily conceivable that every member of a household will eventually have their own tablet—even children. There's no reason why one individual should have to give up his or her use of an iPad for another individual to read content. It should be easily transferred to the other person's device. Publishers may be tempted to greed here, thinking that more subscriptions will be sold if their content cannot be shared. But I don't think this will happen. What will happen is that fewer eyes will read the content and advertisers will reach fewer potential buyers. I understand the desire to limit piracy and too many people reading content that's been paid for once, but there should still be limited access by a small group of individuals such as in a family unit or on one internal network. When we first got married, Kathy discouraged any subscriptions to National Geographic because we visited a home where 30 years' worth of gold-colored spines filled the living room bookshelves. Over the years I've determined that magazines can pile up beside my nightstand to not quite a foot in height before my better half starts to grumble. If left to my own devices, forty years from now I'd be the subject of a segment about hoarders on a late night news show, but I do begrudgingly throw old magazines out at irregular intervals. Surely digital magazines and newspapers will ease my guilt about trashing what is sometimes great content. On an environmental level, digital content should ease our culture's guilt over how much paper we throw into landfills every year. But here's the deal: if I get a magazine or newspaper delivered wirelessly to an iPad, I ought to be able to access it forever. Barring platform and format viability, of course, my access to content for which I've paid should never simply expire. I don't want a time limit on how long I can keep the latest issue of a magazine. I should be able to access any article from any issue of my subscription any time I want—no matter how long ago it was published. Lately, I've been playing around with the Kindle app on the iPhone as well as the PC and Mac versions. I think it's super-smart for Amazon to diversify how their content can be accessed. Having said that, however, I am very disappointed that the Kindle apps I've used so far are simply dumb readers without search capabilities or even copy and paste. While I'm glad to have access to Amazon's large selection of electronic books without having to actually buy a Kindle, feature-wise, Adobe Reader stands as a better platform for electronic documents than any of the Kindle apps. Look, I understand the concern for bootlegging content. But I ought to be able to perform a basic copy and paste from an article in a digital magazine. I may need to quote something, and since the content is already digital, I shouldn't have to retype it. Further, this is already possible with content available on a periodical's website. A magazine on an iPad should be a step forward in usability, not a step backwards. I've not actually read anywhere that magazine publishers plan to prevent copy and paste of content, mind you, but I wouldn't be surprised if someone somewhere has thought about it or even proposed it. It would make no sense to have to leave a page in a digital subscription to go find the same content on a website just to quote it elsewhere. 5. Digital Subscriptions Should Be Distinguished from What I Can Already Get for Free. On Tuesday, while eating lunch at my desk, I read Steven Levy's excellent article, "How the Tablet Will Change the World" at Wired.com. Then, when I got home, I pulled the newest issue of Wired Magazine out of my mailbox, only to discover that I'd already read the cover story. My first thought was "Why, again, do I pay money to subscribe to Wired?" Surely some of the mess that periodicals have gotten themselves into is based on their own doing. If Levy's story were released on the Wired website a week later, I could understand it, but why release it before the magazine with the same content arrives in subscribers' mailboxes? This will be an even greater issue with periodicals on the iPad. Safari will only be a couple of finger taps away. If I can get the same information for free that quickly—on the same device—why should I subscribe? Really? I assume that there will be plenty of "free" trial issues when magazines and newspapers first hit the iPad. I'm interested myself in trying before I buy, although I assume I'll want to buy. But here's an idea: if I already subscribe to a magazine in print, can I simply call a number or send an email and have my print subscription converted to digital? Publishers should be ready to convert subscriptions right away for those of us who might want to make the immediate move to digital content. 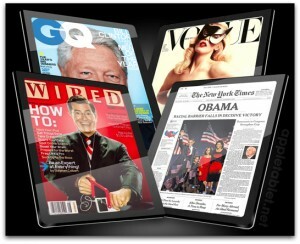 So there they are—my "givens" for how newspapers and magazines ought to operate on the iPad. What about you? What kinds of "rules" would you add? Feel free to leave your thoughts in the comments. I know you'll think I'm wishy washy, but after declaring last month that I wanted a Kindle in spite of the iPad, I've changed my mind. Maybe this was the genius of Apple. Rather than letting anyone order an iPad right away, we all had to wait and think about it for a bit. Perhaps others like me who were not completely sold have become so in the intervening weeks. Last week over breakfast, I told a friend of mine that I thought I might want an iPad after all. "Of course you do," he said, not surprised at all. But wait, you people who think you know me so well—let me explain. First, as you remember, I was not one of those folks who dissed the iPad. From the very beginning I've thought this would be a significant device. I think it's going to be huge for education. I also think it's going to be all the computer a lot of folks would need at all. As for me, as I told you, I've been wanting an e-reader—specifically a Kindle—ever since I held one in my hand last year. And if this were just an issue of a Kindle vs. the iPad as an e-reader, I'd go with the Kindle. I still think the Kindle's e-ink is going to be easier on the eyes than the screen of an iPad if you actually use the thing for reading for hours at a time. But that's not the issue. For me, the iPad has a killer app: Keynote. It's the idea of Keynote on the iPad that's been working away at me for the past four weeks. I watched Steve Jobs' presentation of the iPad with interest, but not expecting to actually want one anytime soon. I felt the second generation device would be better to wait for. But then it happened. Keynote and the rest of the iWork applications were a total surprise. They were an unexpected development. I teach from Keynote every week. I use it at church, and I use it in the classroom at IWU. Now, hold that thought just for a second. I love my 15" MacBook Pro. It's hands down the best Mac I've ever owned (and I've owned a few of them!). I have it with me nearly everywhere I go. And that is part of the problem. I know we're spoiled compared to the computers we used two decades ago (most of which were not portable at all). Yet, often my MacBook Pro is more computer than what I actually need. Often I wish for something smaller. Kathy has a MacBook air, the lightest and most portable Mac that Apple makes. But I didn't want to spend that much on a secondary computer. So last November, after receiving a bit more birthday money from family than I expected (it doesn't hurt that I'm both an only child and an only son-in-law), I bought a netbook. You're thinking, "Wait a minute, Apple doesn't make a netbook." Yes, you're right. For the first time since I bought that Dell Pentium Pro in 1996, I bought a Windows machine. I bought an Acer Aspire One which came with Windows XP Home. But the flavor of Windows didn't matter. I didn't plan to keep it. I planned to Hackintosh it. I wanted a Hackintoshed netbook for two reasons: (1) to teach using Keynote, and (2) for those times when I don't need a full computer such as if I need to go to a meeting to take a few notes. And I did. After a number of trial and error attempts, I managed to get Mac OS X Leopard running on that Acer. I installed iWork including Keynote and I was ready to go. It was really slick, working better than I thought. Because of MobileMe, my calendar, contacts, and email were synced perfectly between the Acer Hackintosh and my MacBook Pro. 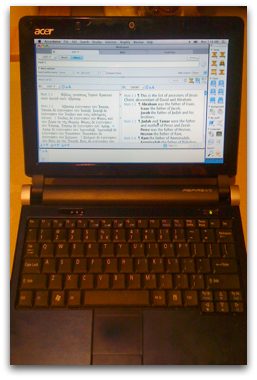 Accordance worked no different than it would on a Mac. I even put an Apple sticker on the back of the Acer which looked pretty funny. I used it at church a couple of times teaching and everything was great. Great, that is until it all fell apart in early January. If karma was a Christian concept, I'd be tempted to believe that I was getting what I deserved for trying to teach the Bible from a computer with an OS installed in clear violation of the end user license agreement. You see, Apple does not allow it's operating system to be installed on non-Apple hardware. Evidently the sticker wasn't enough. On one fateful morning, I plugged the Acer Hackintosh into a projector that was already receiving a video feed from another source. The screen on the Acer went white and I never could get it back to normal. In researching the issue, I discovered that there was a problem with the specific video driver being used in the Hackintoshed version of OS X. It didn't play well with projectors. At that point I gave up on the Hackintosh idea. Having to reinstall wasn't the issue. I needed my computer to work when I needed it. I couldn't afford unreliable equipment. Heck, that was what made me a Mac user to begin with! So I installed Windows 7 on the Acer thinking I could still use it for occasional note taking. Well, it just sat there. I have been using Macs too long and a Windows machine simply doesn't do much for me. And I even tried using OneNote which so many Windows users rave about. It just wasn't enough. So my Acer netbook sat unused. And the iPad with Keynote kept weighing on me. So I made the decision and sold my Acer on eBay. Now I have more than half the cash for an iPad. I can envision teaching from Keynote both at church and in the classroom using nothing but the iPad. Last night, I went to a deacons meeting in which we had about half a dozen different reports that had been emailed out before the meeting. Although I took my laptop to the meeting (I usually do this rather than printing out reports I would only throw away later), I thought to myself sitting there that really, I could do all of that on an iPad and carry much less around. And I think of all those times that I wish I could sit in church and take notes on a laptop, but I never do because somehow it feels overly conspicuous. I can't imagine that I'd have the same reservation with an iPad. An iPad couldn't replace everything I do on my MacBook Pro, but I bet it could do more than half of it. So many times a computer is more than what I need. So now I wait for the iPad. I mentioned this to a different friend of mine yesterday. "Why on earth would you want an iPad?" he asked with great incredulity. I simply replied "For all those times that I could do so much more with less." First, let me say that with Accordance, Logos & Wordsearch all installed on my MacBook Pro, I literally carry with me thousands of books everyday. Thus, you can't say that I haven't embraced electronic texts. I've done that probably more than a lot of people. And yet, I still have a soft spot for a good old fashioned, physical book. I can curl up on the couch with a good book, but not so easily with my laptop. I always joke that you can't read an electronic book in the bathtub--or at least you shouldn't (however, it's probably been over a decade since I read a book in a bathtub anyway). I still like to use a physical Bible when teaching or preaching in front of others. For that matter, I still enjoy the exercise of writing actual notes in the margins of my Bible as part of my preparation--even though I often do the same thing electronically in Accordance (certainly much more than I use to). There's something that I get experientially from physical books that I don't yet get from technology. But keep in mind that having said that, I still own thousands of electronic books--so I'm not being a Luddite here. Regardless, I believe that while physical books will never completely go away, the electronic book is going to be an increasing presence. Supposedly, Amazon sold more books for its Kindle over the holidays than physical books for the first time ever. If true, I'm not surprised. And the new iPad may be an example of what Apple often does best--taking an already existing technology and moving it into the mainstream. I was never interested in an electronic e-reader beyond my own MacBook Pro until about 3 or 4 months ago when I held a Kindle in my hand. Before that, I had rejected the Kindle as yet another gadget that probably most of us didn’t need. As already mentioned, I carry thousands of books, mostly biblical reference works, on my laptop, so why would a Kindle be necessary anyway? But I ran into this guy—a pastor of a church—at a Starbucks, and we struck up a conversation about the Kindle. He had one and told me that it made buying books so easy and was so portable, he’d read well over 50 books last year. That’s much more than I read. What really got me was the screen on the Kindle. Yes, I have thousands of books on my laptop, but I essentially use them all as reference. I never read one from beginning to end because my laptop screen is too hard on my eyes after extended periods of time. Not so with the Kindle from what I saw in my brief enounter. The Kindle had a screen that was very relaxing to the eyes. I really could see myself actually reading whole books on this thing. Since the Kindle reads PDF files, I could also see myself converting some of my books on my laptop to PDF format and carrying them with me on a Kindle. In fact, I imagine that would be my main use for a Kindle. I definitely wanted one after I saw one first hand. But I'll come back to that. There are other ramifications for the electronic texts and readers. 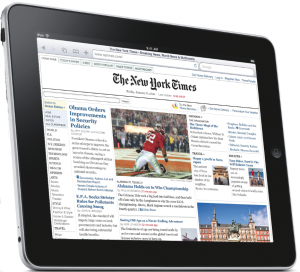 Yesterday, the New York Times was given prominent treatment during the iPad announcement. The New York Times has already been experimenting with newspaper subscriptions that only show up on the Kindle. You wake up in the morning, turn on your Kindle and the NY Times is already downloaded on it. They are actually pushing a lot of subscribers to go this route because it removes the cost of delivery and actually is cheaper in the long run (even factoring in the cost of the device) for subscribers. Not to mention saving the wasteful cost of printing something on paper everyday. Electronic delivery could very well save the newspaper industry if they could get enough people to subscribe. And of course a device like Apple's iPad offers the benefit of multimedia that the Kindle doesn't currently offer. Suddenly even we muggles now have moving pictures in our newspapers. For me electronic texts on my personal computer have been a boon. I really appreciate not having to carry a stack of books with me to work on a project. 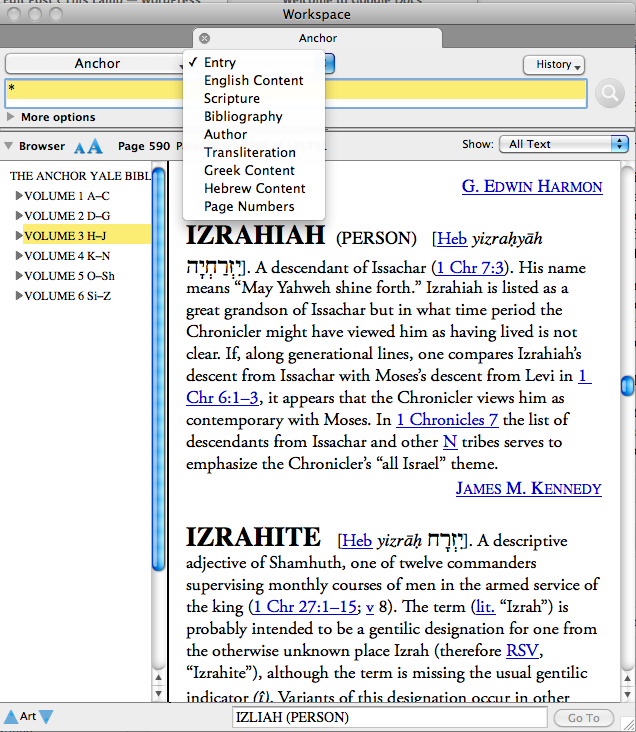 I use the Anchor Yale Bible Dictionary as a prime example of the benefits of an electronic edition. I've got both the physical set of the AYBD and a copy in Accordance. The physical set is six thick volumes. The electronic set is simply virtual. Further, the physical set does not have an index. You might wonder why an index would be needed with a dictionary, but you'd be surprised. Without an index, I have to search for a subject second guessing the way the editors would have arranged it. Plus, sometimes an subject is covered in more than one article. The physical set makes further treatment difficult to find, but an electronic copy that is searchable makes it much easier. Also, note in the graphic on the right that in the Accordance version of the AYBD, I can search specifically for certain fields. 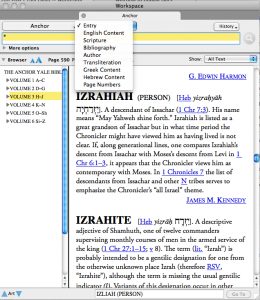 Besides the benefit of searching for the content of the dictionary, I can also zero in specifically on the way the dictionary treats biblical references, or search for all articles written by a certain author and more. A concern I often hear in regard to electronic texts is whether or not they will be accessible twenty years from now. Think about it--I have a copy of Huckleberry Finn that was printed in the first half of the 20th century. It was given to me by my great aunt. As long as I take care of it, I should still be able to read it when I'm an old man. But how do I know that I will still be able to read an electronic text in 30 years that I've invested in now? That's a legitimate question, but one that the eventual creation of standard formats will answer. I'm not worried about my investments in my biblical software. This is a field that is essentially all these companies do, and they've been doing it for quite some time. In a worse case scenario, if Company X were to get into financial trouble, I would think it would be worth another company's effort to acquire them and their customer base. Although certain variations of this scenario would be more frightening than others, I'm not worried about my current investment in this area. For electronic texts seen in devices like the Kindle or iPad, however, it's important that standards can emerge. In an earlier experiment with electronic texts a few years ago, Amazon sold PDF versions of certain books. These texts had digital rights management built in to keep a purchaser from copying it willy nilly for his friends. I bought one of these PDF versions and have it to this day on my laptop. Unfortunately, I cannot open it. It was tied to the computer on which I purchased it. Amazon can't help me because they no longer sell the book. This is the kind of nightmare scenario that one fears if a significant investment is made into electronic texts. My decades old copy of Huck Finn on my shelf simply isn't affected by that kind of problem. There's the other issue of ownership. Electronic books are virtual, made up of bytes of information on a storage device of some kind. Last year, Amazon made quite a stink when after discovering they'd sold electronic copies of George Orwell's 1984 for which they didn't have permission, they simply yanked them from Kindle owners who had bought the book via the Kindle's wireless connection. Not surprisingly, a store credit was not satisfactory to their customers. You know, if I buy an accidentally unauthorized printing of 1984, the manager of Barnes & Noble can't come into my home and take it off my bookshelf. Due to the outcry, Amazon has promised not to do this again, but the very idea that they could, is still a bit unnerving. Yesterday, as you know unless you were hiding in a cave, Steve Jobs formally introduced the iPad. The worst kept secret in the computer industry, this "portable media device" promises to be something more than an iPhone/iPod Touch, but less than a full laptop computer. It's been called a "Kindle killer," but I hope this isn't so. I hope there's still room for both devices, but I also hope that the price of the Kindle comes down a bit in case I decide to eventually get one. If you read the tech press at all, there's a surprising number of people disappointed with the new iPad. Paul Thurrott, for instance, has already written two posts about his disappointment with the iPad (see here and here). In his first post, he writes, "The thing I don't get here is... So far, nothing new. This has all been done before elsewhere. I'm astonished this isn't nicer looking or more interesting." But as much as I respect Paul, I think he misses the point. Yes, the iPad is less powerful than even a netbook, but for many people the iPad will be all the computer they need. I know of no certain figures, but I would guess that there are a large percentage of computer users who do little more than read email, surf the web, and occasionally use a word processor. They don't need everything a full-fledged computer offers (whether laptop, desktop or even netbook). And while netbooks are nice (I even have an Acer Aspire One D250), they have many compromises that make them difficult to use as a main computer. 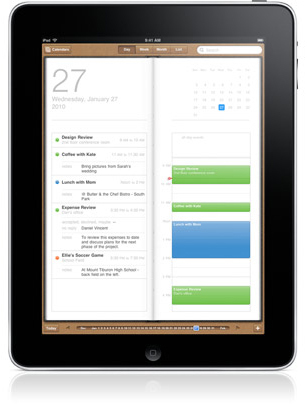 But for the folks who don't need a full computer, the iPad may be ideal. For education especially, the iPad will be beneficial. Not only do I imagine a scenario as I described above where one device could hold all of a student's textbooks, but with word processing capabilities as demonstrated yesterday with iWork Pages, it becomes a complete device for many users. And if you don't like iWork, don't worry. There will be plenty of other word processors available within a couple of years. If the iPad is successful--and I think it will be--I wouldn't even be surprised to see Microsoft release a version of Office for it. And I wonder what Google Docs would be like on the iPad right now? 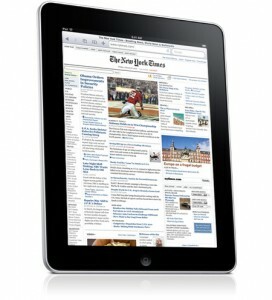 The iPad will also be a very good option for people who need a smaller, less-capable, secondary computer. That's why I bought my Acer netbook to begin with. There are times when I don't need to take a full computer with me. Church is a good example. I teach on Sunday mornings from Keynote, but I wanted something less than my 15" MacBook Pro to carry with me. I had dreams of buying a netbook and making it into a Hackintosh and running Keynote from it. But that hasn't worked as well as I wanted and I'm back to using my MacBook Pro. So, of course, I'm very intrigued by the fact that the iPad has its own version of Keynote. I could also picture myself sitting in a church service taking notes on an iPad, something that I simply feel too conspicuous doing on a regular laptop. There are also many times when I wished that my iPhone had a keyboard of its own. On an occasional weekend getaway, I don't necessarily want to take a whole computer, but I would like to keep up with email. The iPad would be perfect for this kind of use. However, I want to see how Keynote really works on an iPad before I'd ever commit to one. When I teach with Keynote, I make extensive use of my notes in Keynote which show up on the presenter's screen but not on the projector. I have my doubts that the iPad will make use of extended desktops--at least in its initial version. Thus, I really do think that in spite of the naysayers, the iPad is a significant offering. Yes, there have been tablet computers and e-readers and all the rest. But they've never been mainstream. The iPad may be the just right mix of everything that many people will realize that they don't need something more powerful. But time will tell. I also hope that the iPad is not a "Kindle killer." I hope that there is room for both devices. Many people may just need a Kindle for reading without all the features of the iPad. Regardless, I think Amazon will be fine either way. They already have a Kindle reader for the iPhone which will presumably run just fine on the iPad. Even if they were to eventually quit manufacturing the Kindle device, Amazon could still sell books for their reader that would work on the iPad. If Apple is successful with the iPad, I may want one eventually, but not the first generation. I had the first generation iPhone, but this time I think I'll sit back and let some of the rest of you work out the first generation bugs. The second generation iPhone was much better than the initial iPhone, and I imagine it will be the same for the iPad. In the meantime, I'd still like to convert a number of my electronic texts to PDFs and read them on a Kindle. I have a hunch that four hours of straight reading on a Kindle is easier on the eyes than what it would be on an iPad. So, I'll be watching to see if the prices come down. Or if you want to yours, maybe you can make me an offer I can't refuse. I hope that the introduction of Apple's tablet leads to a reduction in Amazon's price for the Kindle. I really just want a Kindle and can't imagine that I will want Apple's tablet (but we'll see). 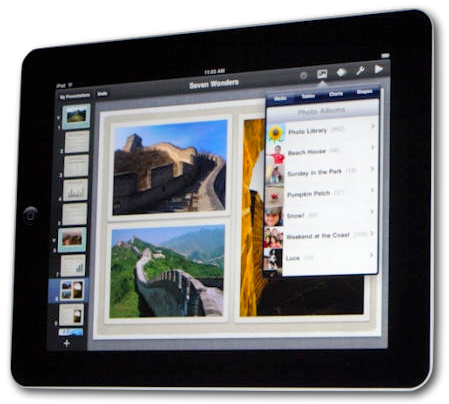 I hope we'll see a significant update to the iWork suite. Am I the only excited about this possibility?